Small-cap funds have always been in the conversation of investors and fund managers. The high returns they provide have always been a hot topic for investors all over the world. Amateur investors often get intimidated by these high returns and start investing in small caps blindly without any prior research, soon realizing that they have lost a large part of their investment. So, to save you from such trouble, let's have a look at what Small Caps really are. Are Small Cap Schemes Really that Small? Small cap funds are a type of equity mutual funds which invest in small companies and have a market capitalization of less than INR 500cr. They generally invest in companies that are new in the equity market and are not as stable as mid caps or large caps but if successful, the returns they give are outstanding. So, yeah they are not as small as the name suggests. Agents and advertisers often honey trap new investors by talking about high returns but what they don’t tell you is the risk factor that comes with it. So, avoid falling into such traps and do a proper research before you opt for any kind of mutual funds. Now the next question people ask is “How can I do research when I don’t have any kind of knowledge or experience with Investing?” Well, don’t worry because we, at MySIPonline, are doing that for you. At MySIPonline not only you have access to our researched material, you can also compare thousands of Mutual Funds, to choose one according to your needs. We also try to educate our each and every client with the help of regular blog and articles, so that they can have a deep understanding of mutual funds industry and the pattern to follow while investing. Now, the next question that comes up is “Are the profits really this big?” Well to answers this question we would like to move to the facts. 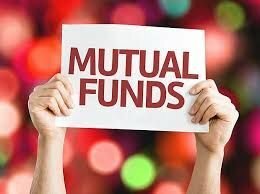 Let’s have a look at some of the best mutual funds that gave outstanding results.  The first one that deserve to be here is the Aditya Birla Sun Life Small Cap Fund. With the return of 7.24%, 19.39%, and 25.92% on investment of 1, 3,and 5 years respectively, this small cap is the favorite of every small-cap mutual fun investor.  The next on this list is L&T Emerging Businesses Fund. As the name suggests, it invests in emerging firms but the returns they provide are outstanding. On a tenure of 1year and 3 years, it gave a return of 12.91% and 24.28%, thus making its place in the top 10 small-cap mutual funds.  The next one is also from L&T MF and has been providing good returns over the period of time. L&T Midcap Fund has been showing a good growth and given a return of 8.76%, 18.44%, and 28.45% in the tenure of 1, 3, and 5 years, respectively. So, this is all the basic knowledge that one has to go through before investing in small-cap mutual funds. Just keep in mind to avoid honey trapping agents and to do a thorough research before opting not only small-cap mutual fund but any kind of mutual fund because as we have all heard several times “Mutual funds are subject to market risk”. Anyone who wants to have more in-depth knowledge about mutual funds can visit MySIPonline - a one-step solution to all your doubts.